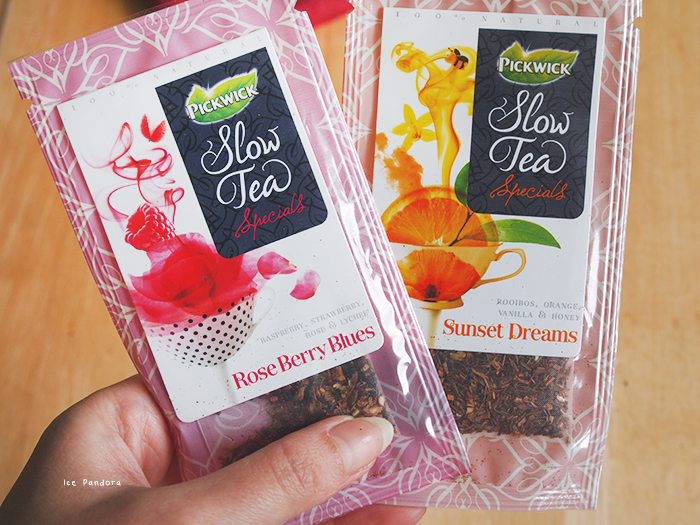 When papa came home with these 2 free tea samples by the brand Pickwick, I was pretty happy to try them out. Scroll down to check out some pictures! De smaken: 'Sunset Dream' en 'Rose Berry Blues' waren super geurig! 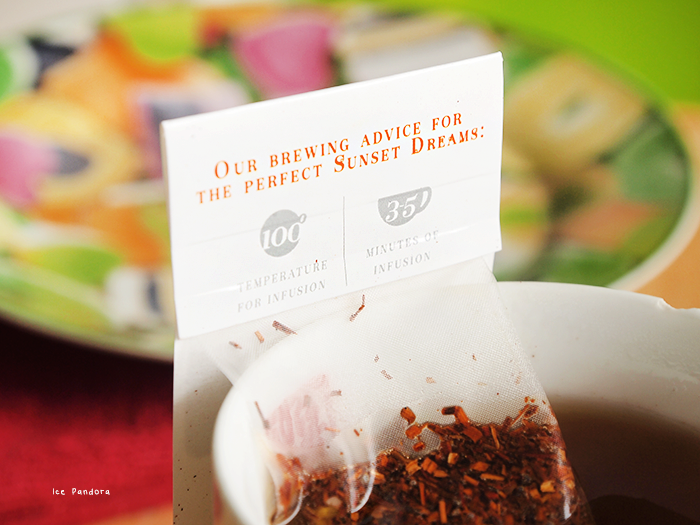 In Sunset Dream zitten namelijk rooibos, sinasappel, vanille en honing in. En in de van Rose Berry Blues: framboos, aardbei, roos en lychee. Mhmm wat een vrolijk combinatie in een mok! Daar horen er koekjes bij, niet waar? Kijk je met me mee hieronder? It was really drinking a pink tea, this 'Rose Berry Blue' flavor one.. The taste was overall not bad, but I wished to taste a bit more rose in it. Ooh! 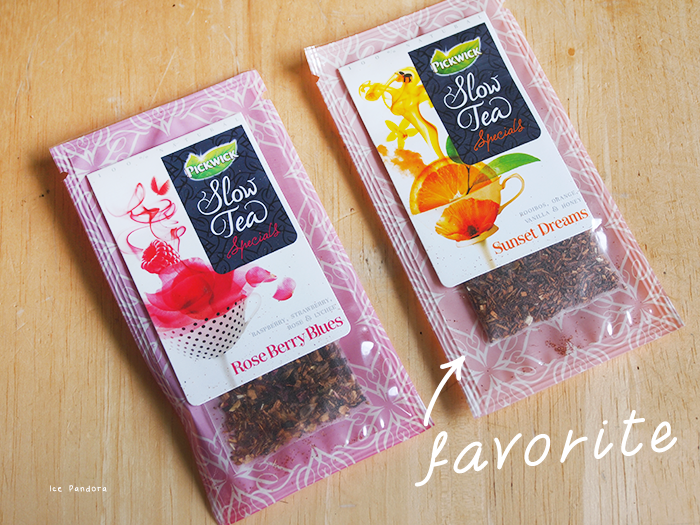 I'm a huge tea lover and drinker...these look great and I love their packaging! I actually really love rose buds in my tea...wondering how the rose berry one tastes! These flavours sound so nice! 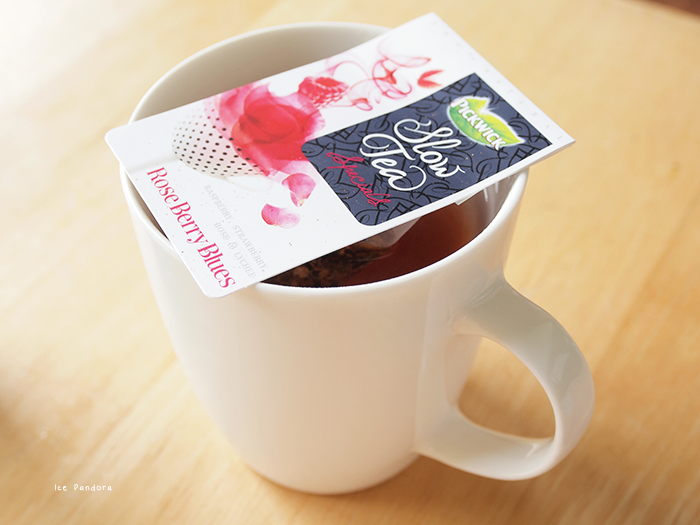 I'm really curious as to how that rose berry tea tastes, since I've never heard of having lychee in tea before. Ohh! 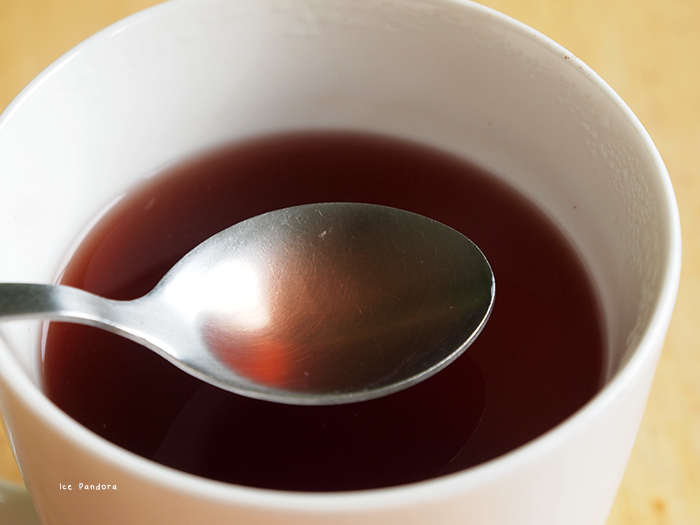 Such a sweet tea time! I love flavor tea too. omg i'd like to try that tea too! These seem like they'd smell/taste really nice. I always end up going for the boring black tea though haha. Ik ben zo benieuwd naar de smaken!! This is so lovely, very nice pictures too ! Lijkt me heel erg lekker! I love to drink tea! And these pouches are quite clever! those look really delicious. tea combination flavors always fascinate me.